There will be no runner registration or bib pick-up on September 21, 2019. 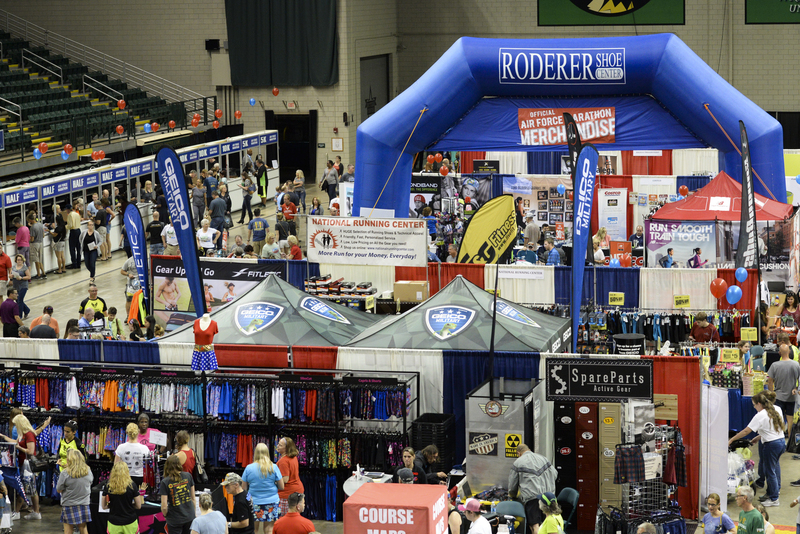 The Air Force Marathon Sports and Fitness Expo will host more than 100 exhibitors featuring the latest developments in sports, fitness and nutrition. In addition, the Expo is the home of Participant Bib Pick-Up for all 15,000 participants. Held at the Wright State University Nutter Center, the two-day Expo is free and open to the public. There will be no runner registration or bib pick-up on Saturday, September 21, 2019. 12 a.m. to 7 p.m.
5K participants may pick up their bib on Thursday or Friday. 5K participants must pick up their bib by 6 p.m. on Friday.